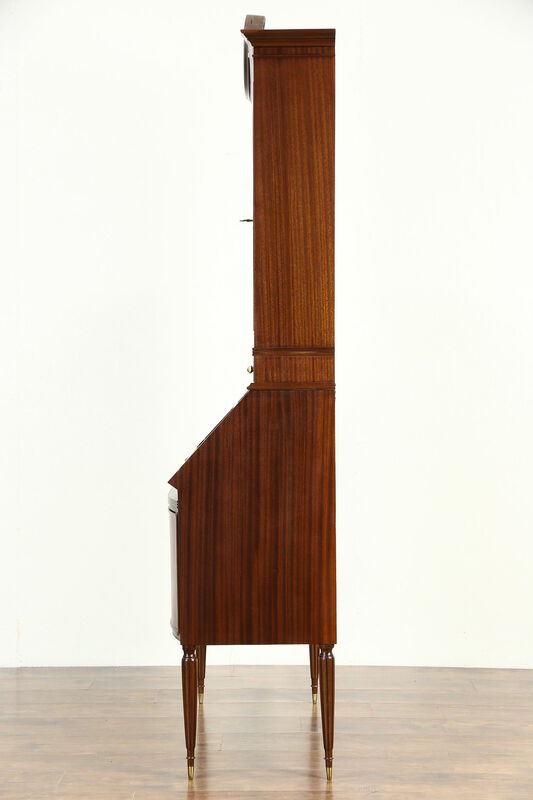 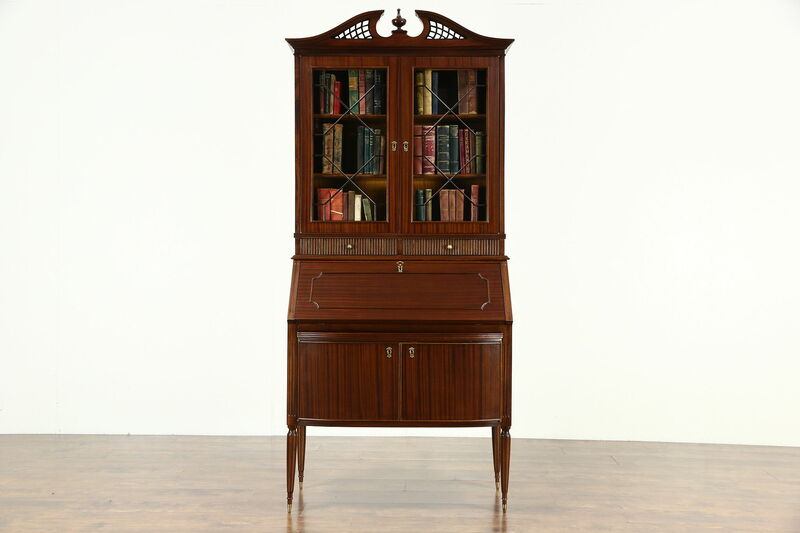 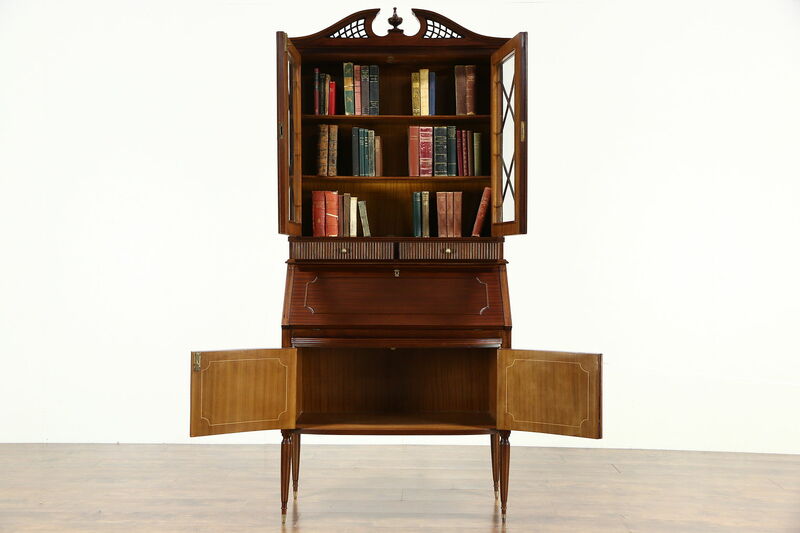 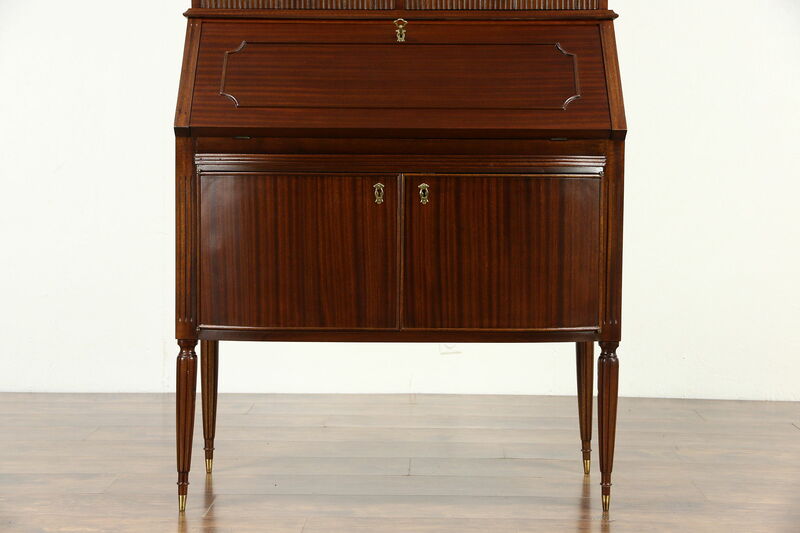 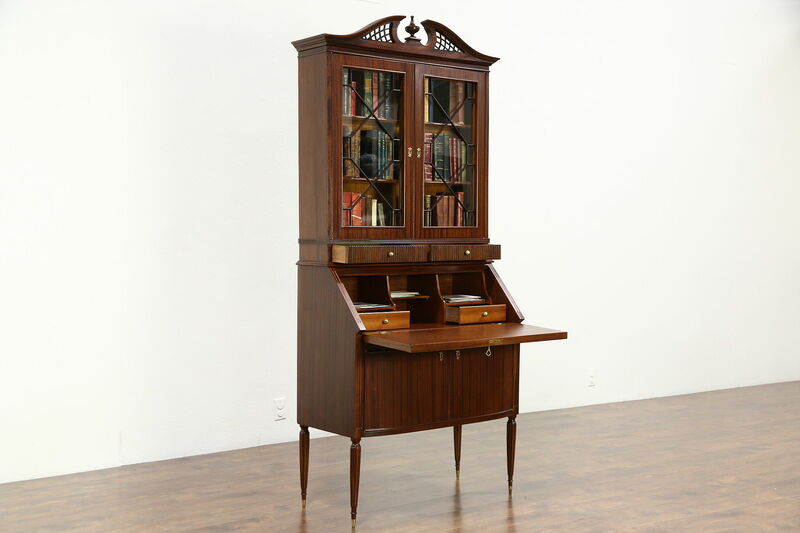 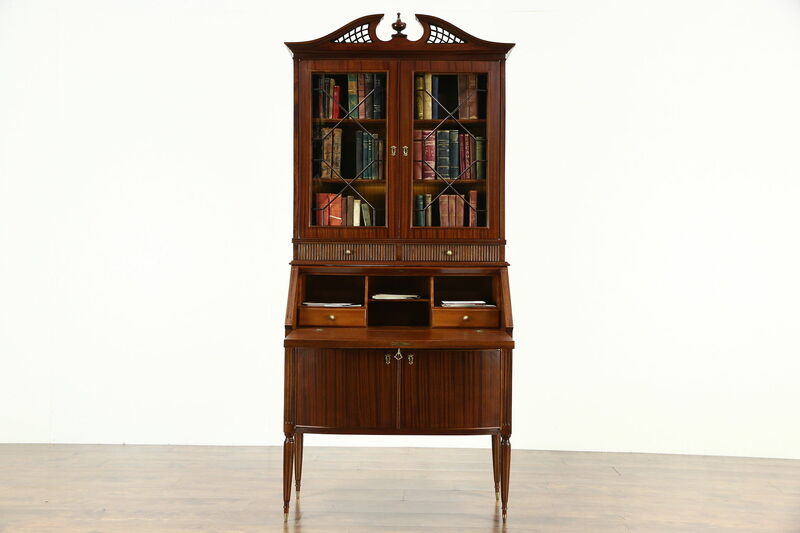 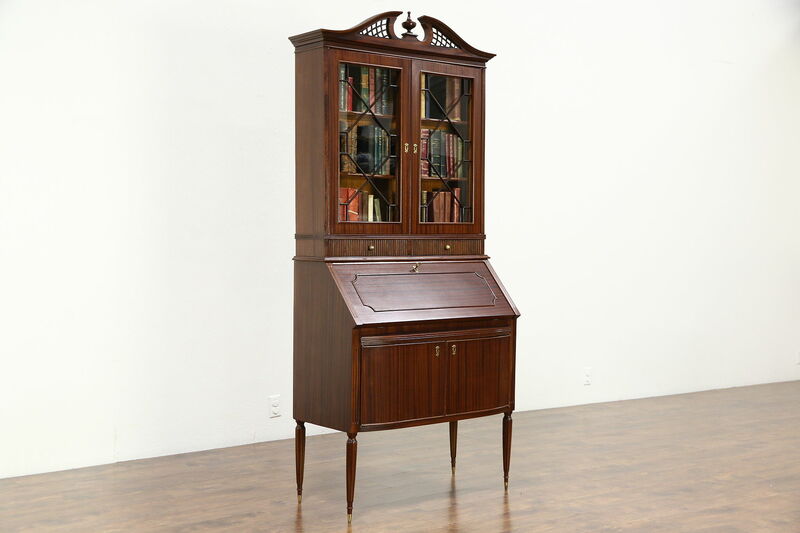 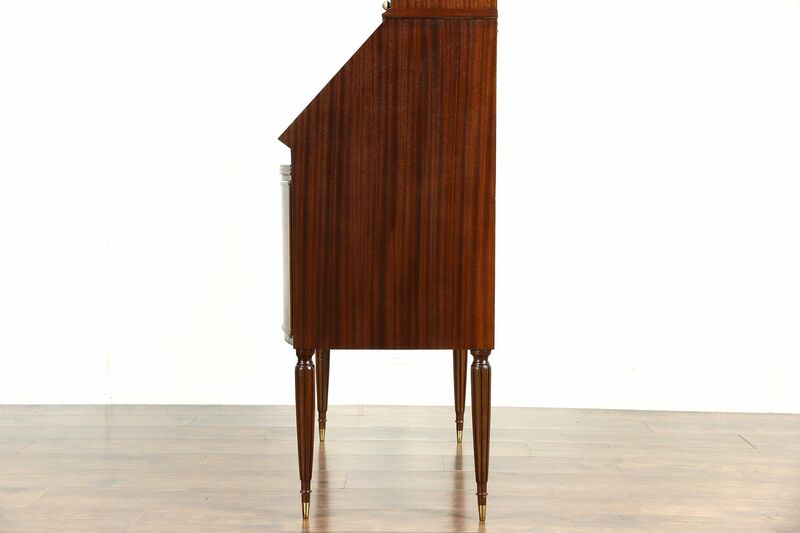 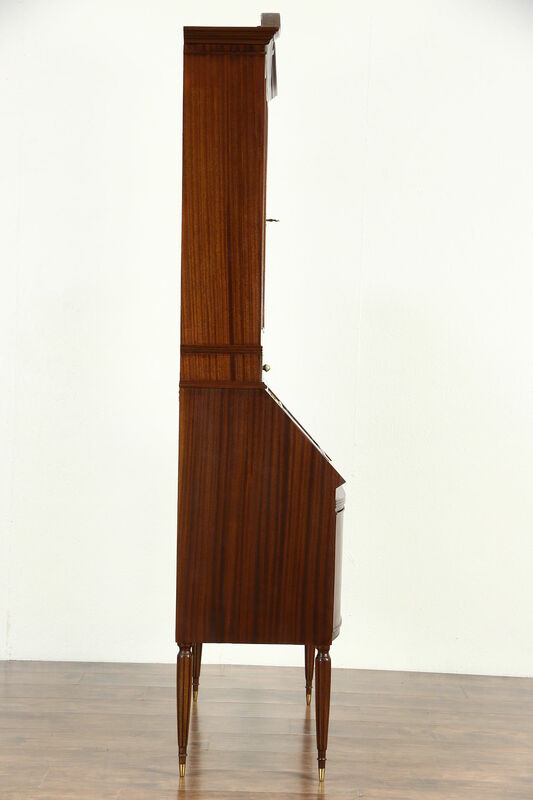 A Georgian style secretary desk and bookcase was expertly crafted in England in the 1950's. 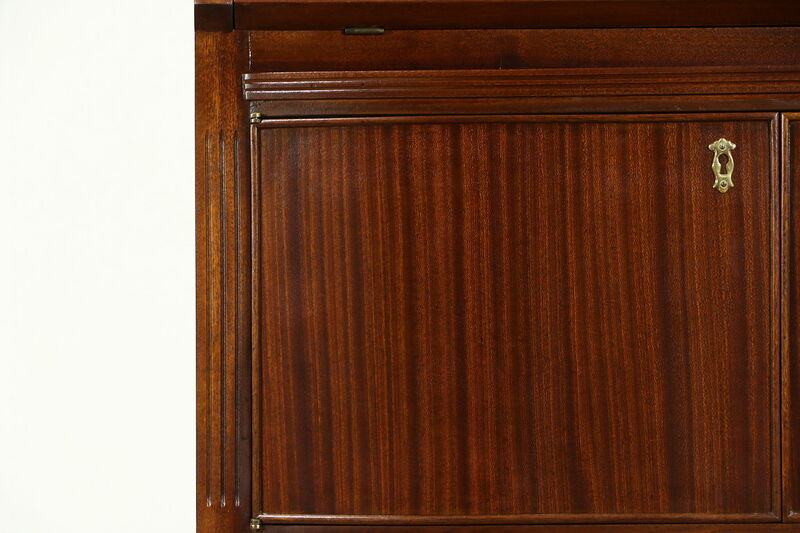 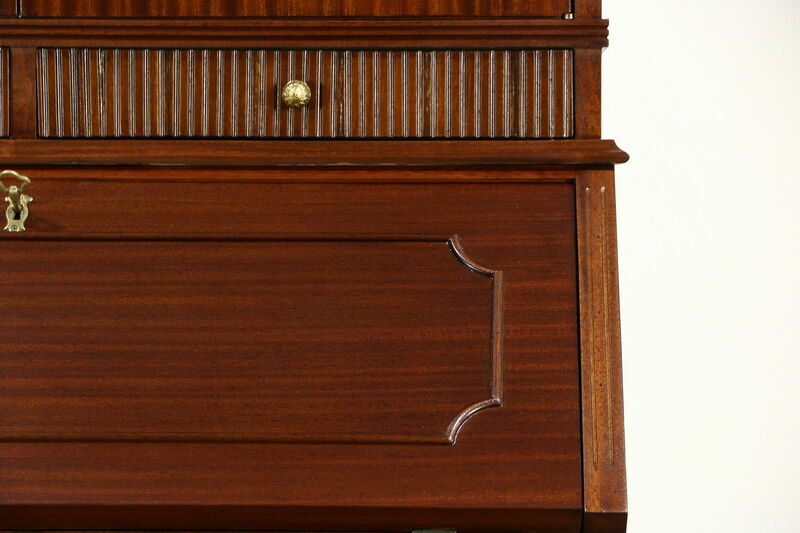 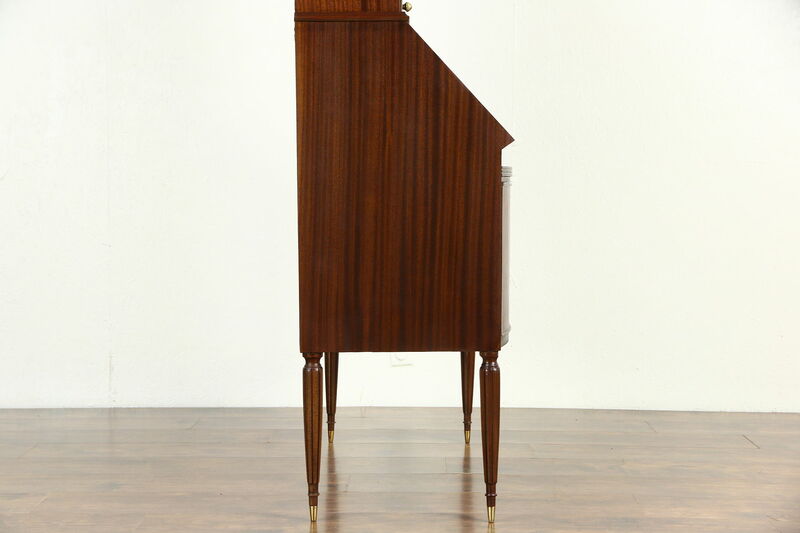 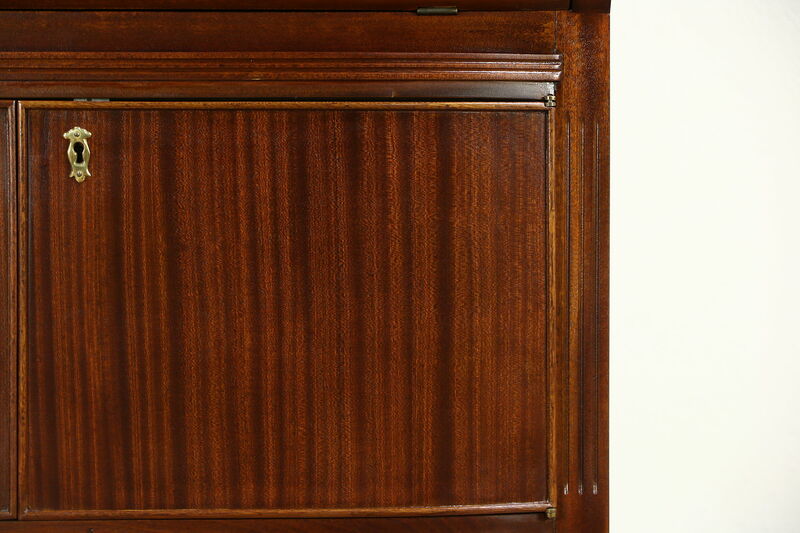 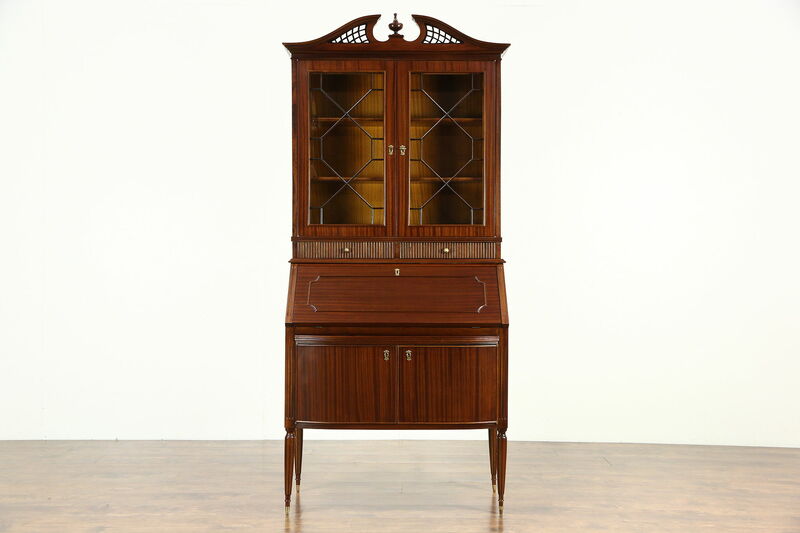 Mahogany with an excellent gleaming restored finish, this graceful vintage furniture has fine detailing. 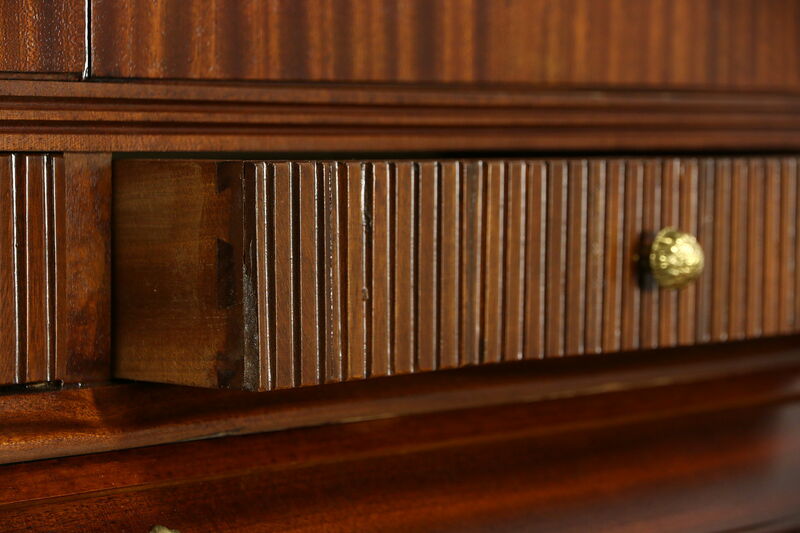 Original hardware and feet are solid brass, a key operates all locks. 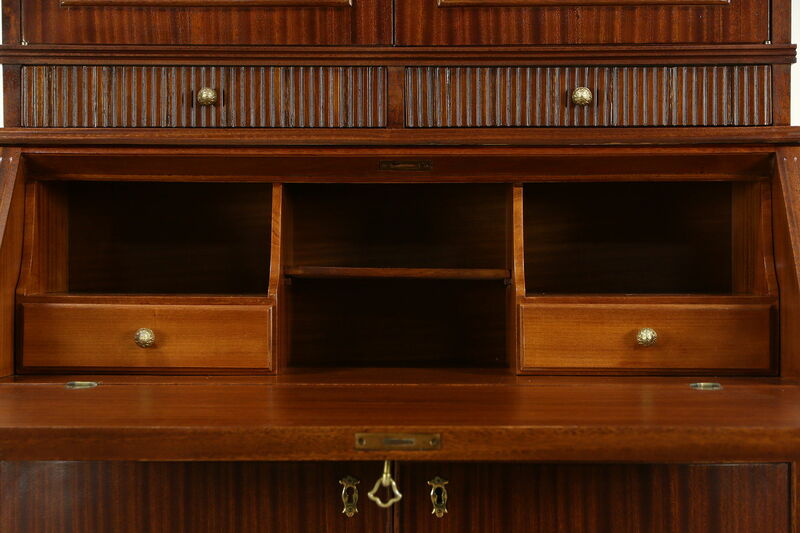 Inside the drop front are tiny drawers and cubicles for papers. 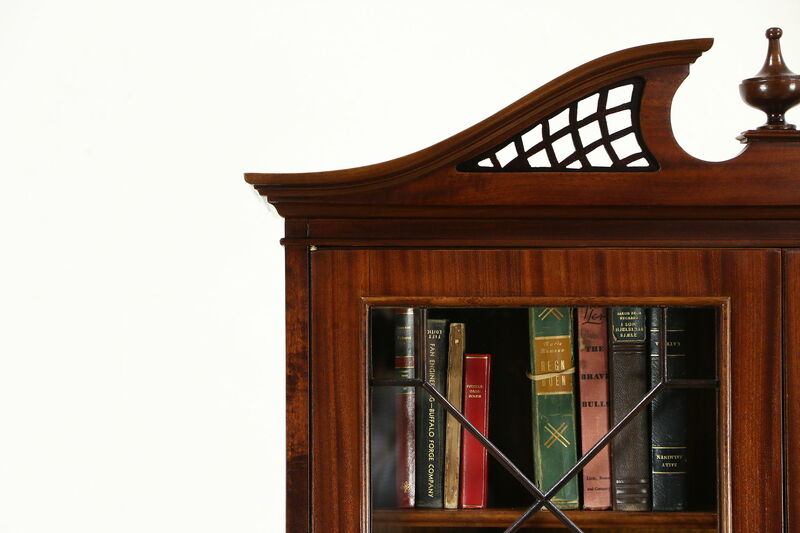 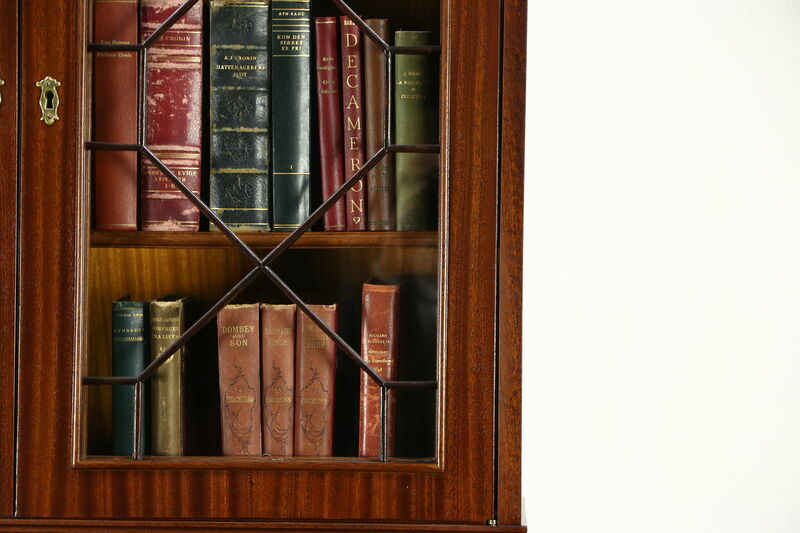 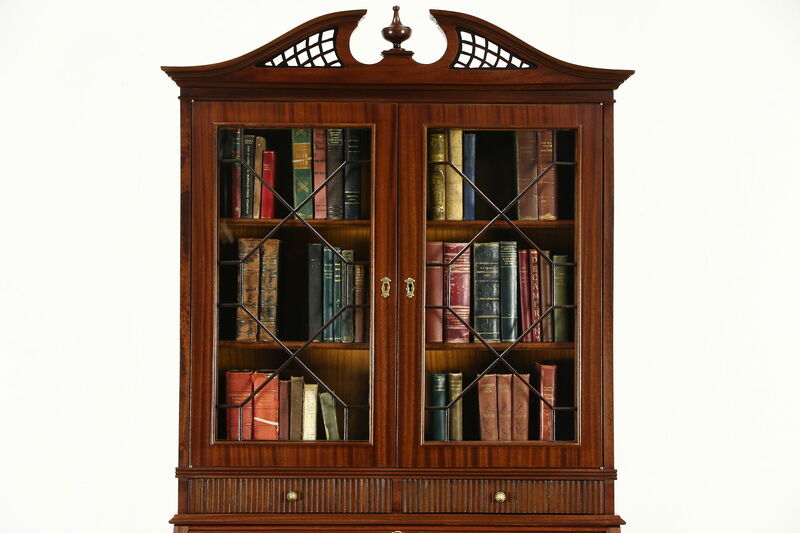 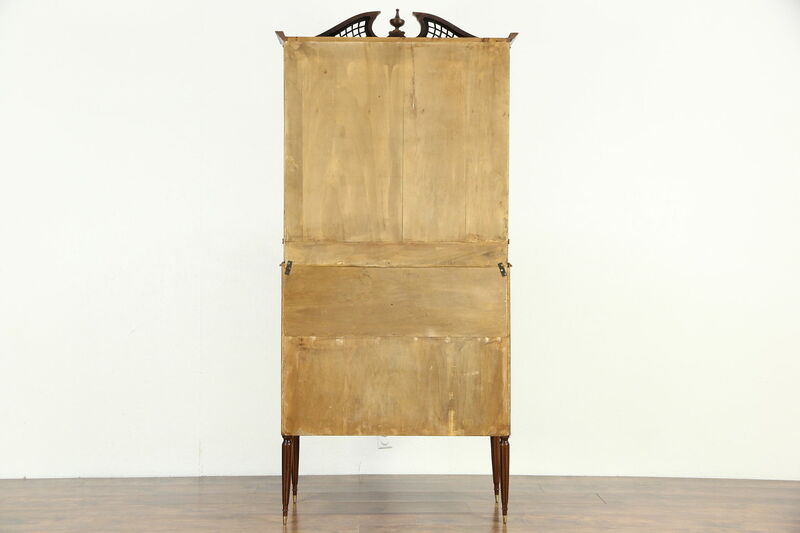 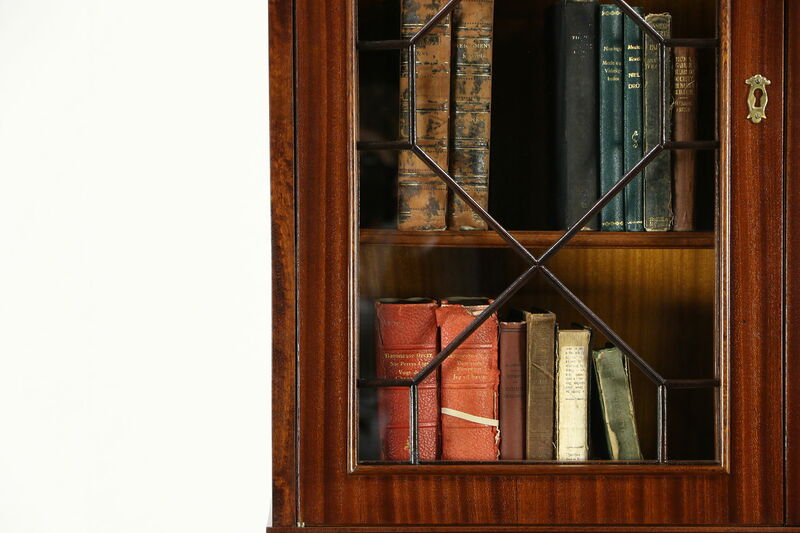 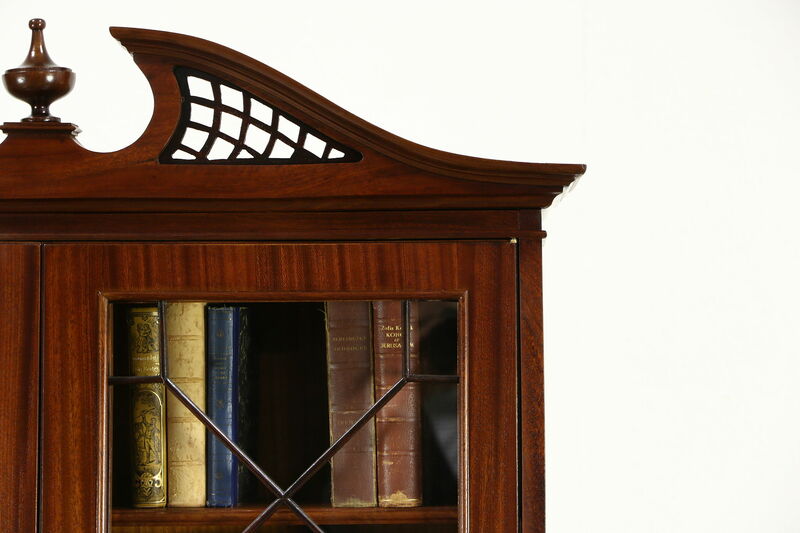 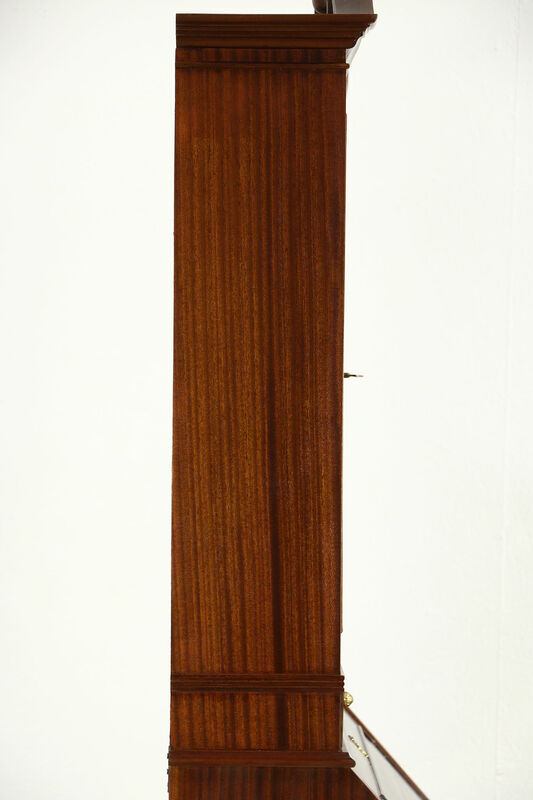 The bookcase is removable for easier delivery, grillwork in the doors is authentic. 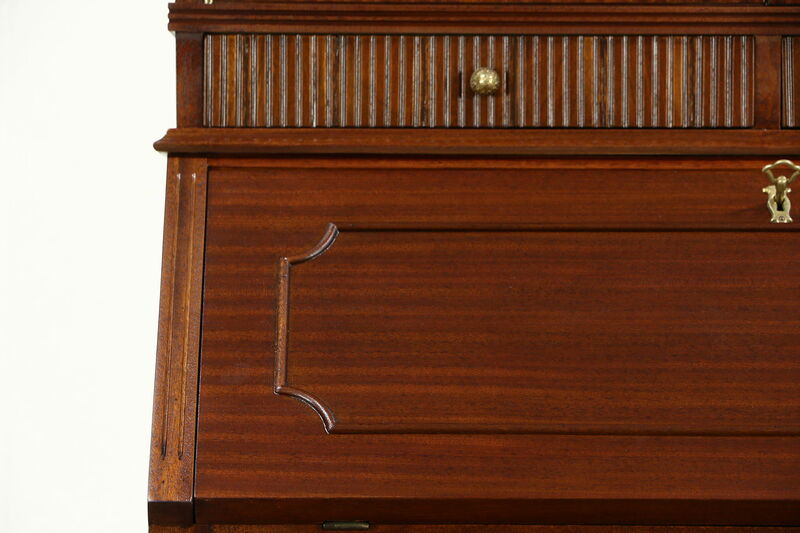 A carved and pierced pediment is beautiful on this unsigned desk. 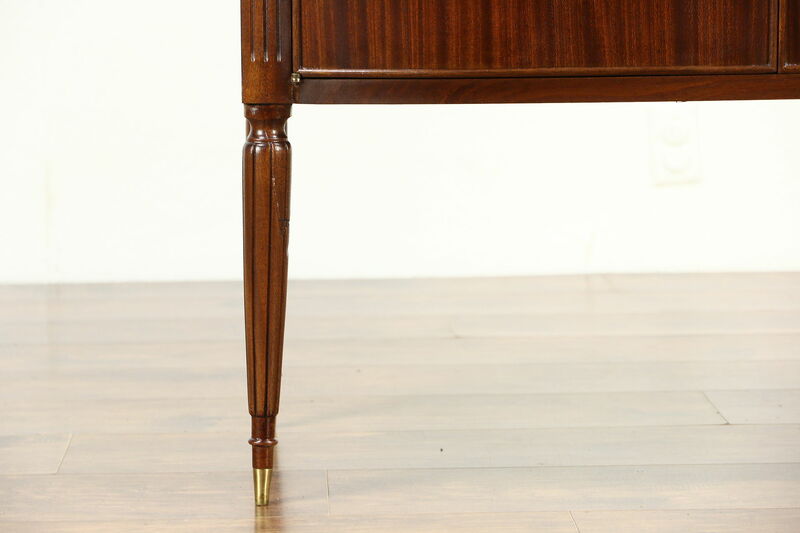 Legs are very delicate and have old, stable restorations. 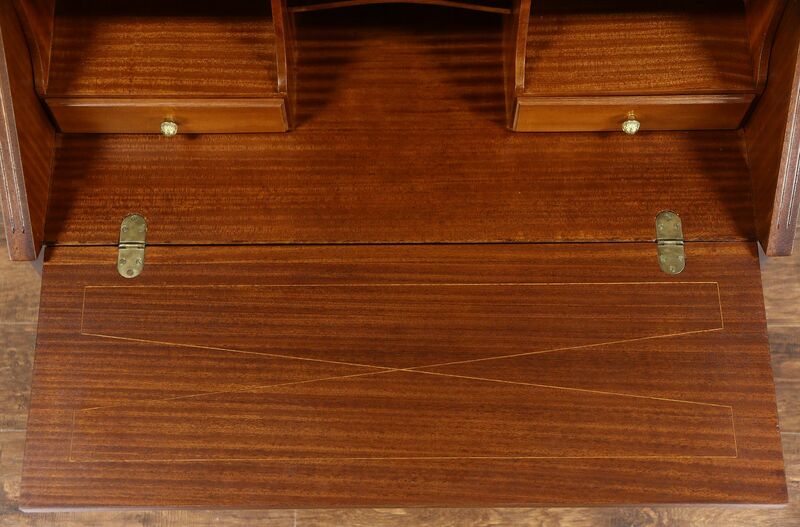 The base of this desk should not be shipped upright to prevent damage. 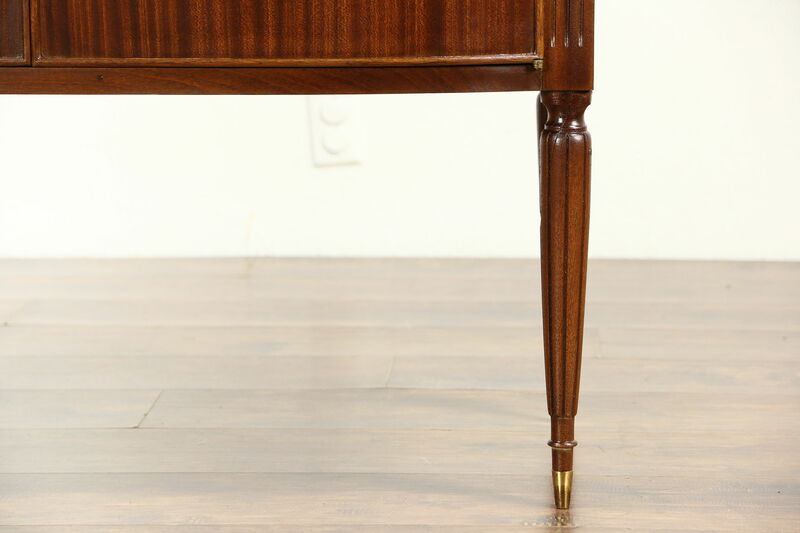 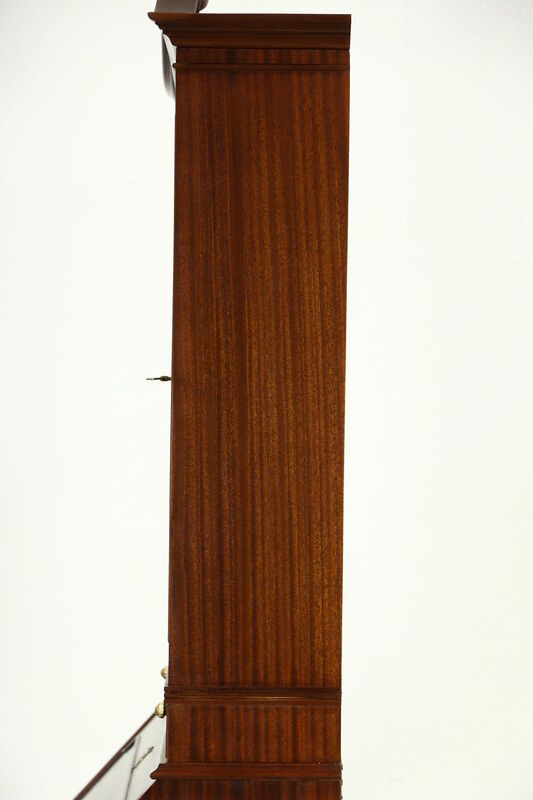 Measurements are 38" wide at the crown, 18" deep, 81" tall and the desktop is 30" high.